I HAD always feared the third full moon of the year, the Worm Moon, would turn out to be the problem child of the 13. Early March, the first full moon of the meteorological spring, when the earthworms begin to appear and the birds take full advantage. But despite their huge importance to nature's cycle of life, it seems worms have been completely ignored by cartographers. Sgurr na Boiteag would be a lovely name for a mountain but there doesn't seem to be one anywhere. Finding a mountain link to the likes of a Blue Moon or a Wolf Moon was simple, but a Worm Moon? This would require some different thinking. I looked at going down the serpent route; snakes, dragons and other mythical beasties that lurk in our lochs. 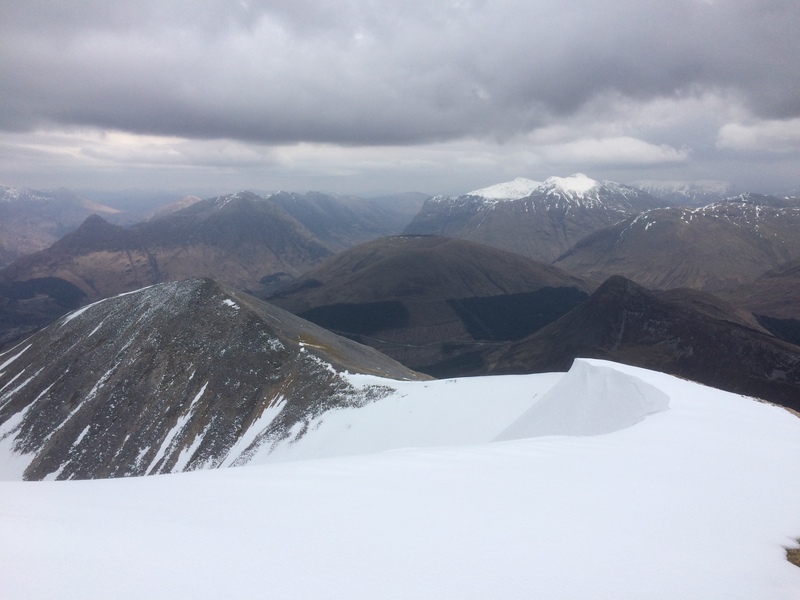 Beinn a' Bheithir at Ballachulish was a possibility, but the avalanche risk in that area was high. Then there was Carn na Nathrach – the cairn of the adders – a Corbett in the heart of Ardgour, but I would be heavily reliant on a ferry crossing and a high B-road which previous experience had shown to be unpredictable. I then turned my attention to mountains with strong bird connections. After all, there's a certain logic for a night walk where the early bird gets the worm (moon). 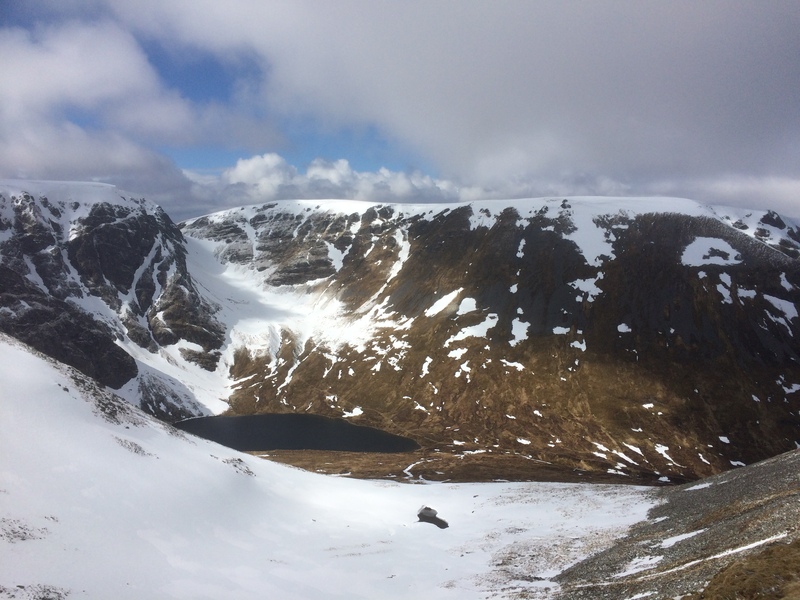 I settled on Creag Meagaidh, that wonderful, sprawling mountain with a success story in regenerated woodland in its lower reaches, rich in bird and insect life. Unfortunately, the only beastie I ended up seeing was that one from the east. I never got over the door. 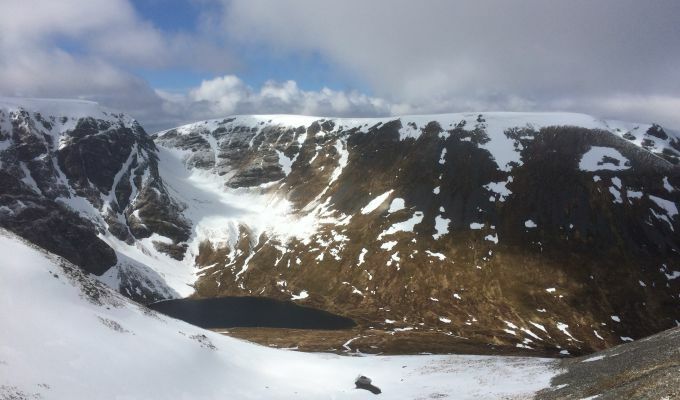 The snow piled in and the roads around us became impassable, Creag Meagaidh now an unreachable target. I thought that if I could at least make it out past Perth, I could reach the sanctuary of the mountains of the west. The worm link didn't matter any more, any decent mountain by moonlight would do. Then came the red alerts. Sometimes you just have to accept the inevitable. It pained me to sit tight, especially looking at some glorious weather way out west, but our mountain rescue teams already had their work cut out helping the emergency services extricate stranded motorists and those in remote areas cut off by the snows. It would be irresponsible to ignore their advice and press on regardless for the sake of a pastime. Part of the lure of the Scottish mountains in winter is the challenge that different weather conditions can throw up. We have the freedom to rise to these challenges, but with that freedom comes responsibility. One of the essential mountain skills is knowing when to turn back. It's also a great discipline knowing when not to attempt it at all. Sometimes just reaching the mountain is the most perilous part of the enterprise. One of the links I had explored for this moon was that of the worm as a Shakespearean metaphor for a troubled conscience, and in a similar vein, Poe's poem, The Conqueror Worm, which paints life as a mad folly ending inevitably in hideous death. These now seemed to resonate more than the bird life when I weighed up my options for the task in hand. Apart from the so-called beast from the east, I was also having to deal with a pest in the chest, a stubborn cold which is taking its time to shift completely. It was just another addition to a catalogue of nagging doubts which confirmed my no-go. There certainly wouldn't have been much sign of bird life in the blizzard-blasted woods of Creag Meagaidh anyway, and the worms would have had to have mini pneumatic drills to have broken through the frozen surface. Even a short walk down to the seashore in unceasing snow storms failed to render a glimpse of the Worm Moon. The prospect of a full house was never on the cards. I always knew I would lose one or two along the way, and that I would have to make last-minute changes to the schedule to stand any chance of a moonlit walk. Still, it would be nice if the Blue Moon on March 31 decided to show face.